Russia To Establish New Military Units And Formations In Response To NATO Activity 5 out of 5 based on 3 ratings. 3 user reviews. On February 27th, Russian Defense Minister Sergei Shoigu announced the creation of new units and formations in the Russian Armed Forces in 2019. The announcement took place during the Defense Ministry Board Session in Moscow. Before moving along the points on the agenda Shoigu noted some of the significant factors of the international situation. “At the same time, the United States is seeking to retain the positions of the superpower, manipulate international law, persistently seek to change the existing conventional arms control regime in Europe in its favor, and also make it difficult for Russia to use its rights under the Treaty on Open Skies,” the Minister of Defense said. He also strongly emphasized the fact of the development of the forward-based NATO system in the Baltic countries, Eastern and Southern Europe continues. Already more than 200 crews from 13 countries of the alliance have acquired the skills of flying over the territory of the Baltic countries and the Baltic Sea. This, according to him requested an adequate response from the Russian side. “In such a situation, we are forced to respond adequately, combining strategic deterrence measures with a planned increase in the combat capabilities of the formations and military units,” he said. “Combat composition of the troops and their basing systems are being modernized. The share of modern weapons in the Western Military District –– up to 54%, in the Southern –– up to 60%, in the Eastern –– up to 51%. In accordance with the approved Action Plan for 2019, in the Western Military District, the main efforts will be focused on the implementation of 142 organizational measures, the main of which are the formation of a mobile reserve anti-aircraft missile regiment (the effectiveness of covering military and government facilities in the Baltic operational direction will increase by 40%) a tank regiment in the Baltic Fleet, two regiments in the 20th Army, a district technical missile base, a coastal missile division in the Baltic Fleet, the completion of building military towns for the newly formed 3rd and 144th motorized rifle divisions of the 20th Army, maintaining combat readiness and combat capability of 23 battalion task groups. In the Southern Military District, more than 30 main organizational measures are planned to be implemented, including the formation of a missile brigade, two regiments, a missile battalion of the Ball coastal missile complex, and the Mobilization Deployment Support Center. The military units will receive more than 1,200 pieces of new and modernized equipment. As a result, the share of modern samples will increase to 66%, and the combat capabilities of the district will increase by 1.3 times. It is planned to put into operation more than 450 objects by late 2019. In the Eastern Military District, the main efforts are focused on the implementation of 56 organizational measures, the main of which concern the formation of the management of a mixed aviation division, an anti-aircraft missile brigade (the effectiveness of air defense in the Amur-Sakhalin direction will increase by 15%), engineering regiment, Bastion coastal missile defense. By the end of the year, 26 battalion tactical groups will join the district troops. The military district will receive up to 1,744 pieces of new and modernized armaments and special hardware to rearm 139 military formations. Also, the Russian Armed Forces and the Belarus Armed Forces are actively preparing for the Union Shield 2019 war games, as well as a special exercise of the Collective Rapid Reaction Forces of the CSTO Interaction 2019. 3079 operational and combat training events are planned for the wargames. Shoigu once more reiterated that Union Shield 2019 is defensive in nature and is not direct against any third countries. Similar exercise are held once every two years, at the behest of the Presidents of Russia and Belarus. Furthermore, Shoigu stressed that the armed forces not only participate in combat training, but they are also actively involved in the elimination of consequences from natural disasters. Between January 11th and February 12th army units carried out a clearing of the riverbed of the Bureya River, which was blocked as a result of a landslide. The weather conditions were difficult and there was no transport infrastructure, at a long distance from sources of life support. The total volume of rocks produced was about 470,000 cubic meters. “We can say that the operation to move such an amount of rocks in such a short period of time is literally unique,” Shoigu noted. As a result, the threat has now been completely eliminated for the settlements in the Khabarovsky Krai, where about 700 people live, as well as for the automobile and railway communications. Flood season is also to begin soon, thus Shoigu instructed commanders of the military districts and the Northern Fleet to monitor the situation in cooperation with the respective institutions, to assist local and regional authorities. Other issues on the agenda of the board session included: international environment, action plans for Western, Southern and Eastern military districts as part of implementation of the decrees of the President of Russia in May 2012 and 2018, his instructions on the outcome of the meetings in Sochi, as well as President’s Address to Federal Assembly. The commanders of the respective military districts reported on the progress of the implementation. I am pleased to see that Russia is adopting the Five ‘P’s . Planning Prevents Piss Poor Performance. i am not, as the entire world would be a better place without a new global arms race. imagine the results on research to solve hunger, illness, poverty if the most resources weren’t spent on arms. but no, washington can’t live in peace until they have died serving their zionist banking cabals. there will be no arm race as west can not afford it. They already bankrupt themselves, beside the fact they are 20 years and in some cases 30 years behind the competition. there will be hunger, illness, poverty in Russia if Russia does not arm itself. Because if Russia can not ressist the empire, the empire will rule over Russia and bring hunger, illness, poverty to its population, Remeber last time there was sharp degradation of Russian army in the beginning of 90s? It was hunger, illness, poverty that came to Russia soon after the red army fell apart. So from this point of view its Russian army and weapons that are preventing hunger, illness, poverty. Putin does not work for sionists or empire. If he did, Russia would not exist today. In 1999 when he came to power, Russia was close to collapsing, why would he rescue it instead of easily drowning/desintergating Russia, if he worked for them? Шелом is for helmet in old Russian. Now it morphed into шлем. Russia is also catering to Zionist criminals and giving them a free rein in Syria and the region. In a way it is a good thing that Russian junk weaponry does not work. 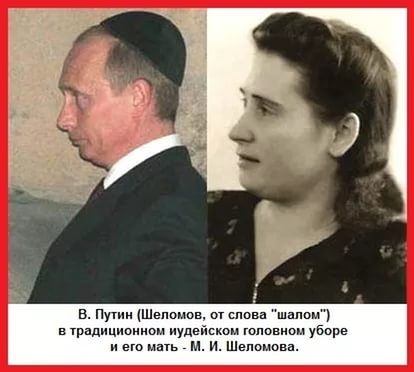 Over 300 Zionist air raids in Syria and not once has Russian dishwasher S-400 or 300 pot plants been used, even when the Zionists killed 15 Russians. Putin’s response was to hug his master Nutter Yahoo. Did the Zio-ieds ever attack the Russians ?. Oh they changed the outcome of the war so much. But zionists like you can keep talking all you want. If Russia failed to plan , the US would be certain to plunder Russia again though , in my opinion. I fully agree with you that there are far better things to spend wealth on. Hey Indian boy is back….. he is on now. Good to hear he’s back. Well, Russia needs to combat test its S-300 flower pots in Syria if it ever gains any credibility for its weapons after the disasterous showing of its flying dishwashers from India to Syria. Putin needs to get his bald head out of Nutter Yahoo’s criminal arse and also liberate Idlib from the headchoppers. Russia allowed the US unhindered from performing the Treaty on Open Skies on Russian territory, rather stupid when the US showed that they will not honour the agreement, same goes for Putin sucking up to the israeli PM and by al appearances shafting Iran. Time will tell but it it obvious that the Russian are a glutton for punishment, suffering and getting shafted. Does Russian defense strategy include annihilation of all threatening forces throughout Europe and physical destruction of North American facilities? No to the former and yes to the latter, unless you are talking US forces in Europe and then it would be yes to those only. I think for the Eastern Europe only 1 and 2 are the available options because of the fear of hitting our own territory. But anyway, in case if it would happen, most of Poland and Romania will became radioactive wasteland. Baltic countries, at my point, won’t be under strategic attack. Just tactical weapons. As for Western Europe and UK it’s a very sad perspective. Because if Poseidons will be used, the waves are going in circles from epicenter. So the blast near the eastern coast line of the USA should bring the tsunami to the Portugal, Western Spain, Western France, Ireland and UK. Not as big as near the blast, but painful enough. In plus France, Germany and UK are under options 1 and 2 because of USA bases in Germany and nuclear weapons in France and UK. It’s just my very human opinion. I don’t know, but I do know it would be much cheaper to simply depopulate America with nerve gas or bio-weapons. Once America was removed, global defense spending would plummet, pollution would be reduced and the world would experience a golden age.